Newly Built Spring 07 with the comforts of home. Spacious and comfortable rooms, Lobby fireplace and booklending library, Continental Breakfast, Indoor Pool/Kids Pool and Whirlpool. 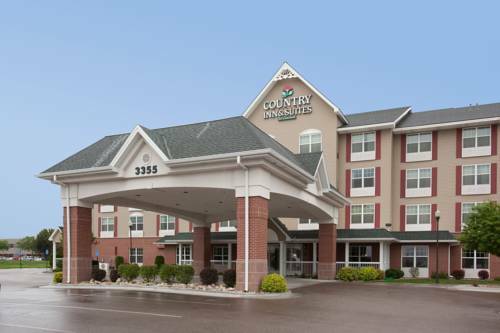 Conveniently located off I-84 (exit 46) and just over 1 mile to shopping centers, restaurants, sporting & concert venues and St. Luke's Medical Center. Meridian's warm atmosphere and friendly staff welcomes you, Come Be Our Guests. Morrison Center for Performing Arts. World Center for Birds of PreyThe Peregrine Fund's world headquarters. From here we operate our national and international conservation programs. Admission Fees: $5.00 Adults $3.00 ages 4-16. Warhawk Air MuseumThe Warhawk Air Museum is a not for profit organization funded entirely by individual donations and private foundations. The mission of the museum is to teach and preserve World War II history. Winery at Eagle KnollComplete with tasting room, pavilion, pond and banquet rooms. Sunnyslope wineriesThere are four wineries open to the public; a fifth can be visited with advance notice. Basque Museum and Cultural CenterThe Basque Museum & Cultural Center provides a look into the heritage of the Basque communities of Idaho and surrounding areas. Idaho Black History MuseumThe Idaho Black History Museum was founded in 1995 and currently is the only African American history museum in the pacific northwest. Idaho Historical MuseumThe Idaho State Historical Museum, founded in 1907, is Idaho's largest and most visited museum. Idaho State CapitolLocated in the heart of downtown Boise and constructed in the classical style of our nation's Capitol. World Sports Humanitarian Hall of FameLocated on the campus of Boise State University, the Hall of Fame celebrates all that is good in sport and honors those special athletes who go beyond the game.